These games like Animal Crossing offer open ended adventures where you can build your own community on PC, iPhone, iPad, Android and other platforms. 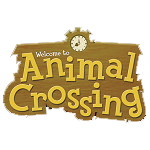 Animal Crossing is a long running game series from Nintendo that allows players to develop their own towns and villages. The series has seen many games being released for various Nintendo consoles including the Wii, DS and 3DS. As a Nintendo game the availability is limited to Nintendo controlled consoles which makes games like Animal Crossing for PC in high demand among fans (and would-be fans who don’t own a supported console). While the Animal Crossing games vary there are a number of core elements that have stayed the same throughout the game series. This includes using human like animals as characters, seasons, holidays, activities, communication with other players, collecting and most importantly a huge amount of customisation. Much of this customisation is centred around your character which can be customised with a variety of different accessories and clothing items. Your house has a similar level of customisation available through furniture and other decorations. The games like Animal Crossing on this page offer other simulation games that place a high level of customisation in the hands of the player.